By Judann Pollack . Published on February 10, 2015. On Feb. 15, we'll be kicking back to consume mass quantities with some wild and crazy guys while watching the "Saturday Night Live" 40th anniversary. Nerds that we are, we naturally had some deep thoughts about potential brand integrations into the show. So far as we know, none of the following products are tying in with the program, but if they did, we're sure viewers would agree, "Isn't that special?" 2. Coca-Cola: Ambush marketing at the Olympia fountain: "Cheeseburger, cheeseburger. Coke, no Pepsi." 3. 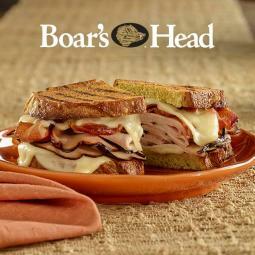 Boar's Head: Think of the product placement around the Samurai Delicatessen. Custom sliced! 4. Nike: The official footwear of Eddie Murphy's Mr. Robinson. 5. Syfy: This Candygram brought to you by "Sharknado." Or Left Shark. 6. Blendtec: The modern day answer to the Bass-O-Matic. Yes, it will blend. 7. Papa John's: Limited-time "Find the Pope in Papa's Pizza" pie. One per coupon. 8. Speedo: Synchronized swimming trunks. 9. 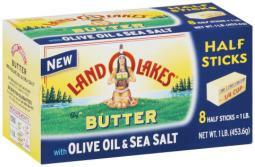 Land of Lakes Butter: Official sponsor of Coffee Talk. Not like butter, actual butter. 10. Duncan Hines: Licensed line of gluten-free Schweddy Ball mixes. Available with or without nuts.